I, Raigad Fort is a hill fortress situated in the Raigad district of Maharashtra in India. 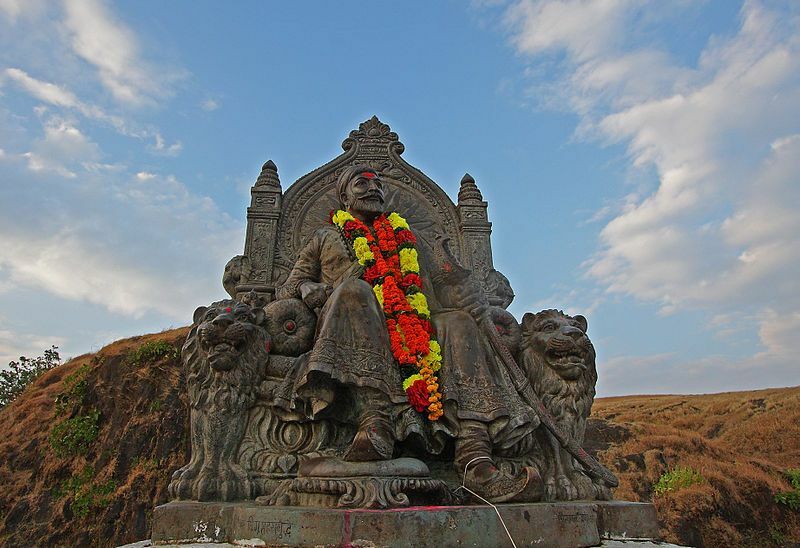 I was built by the Maratha king Chatarrpati Shivaji in 1674 when he was made King of a Maratha Kingdom. Later I was concerted as an important place for the Maratha Empire and now I am covering majority of modern day India. I, Raigad Fort rises 820 metres (2,700 ft) above sea level and is situated in the Sahyadri mountain range. There are approximately 1737 steps leading to my place. You can easily reach to me through an aerial tram. Unfortunately, I was destroyed and looted in the rule of British Empire. The number of tourist and visitors visited me every year to see the beauty of mine. I am famous for my beauty, magnificent forts and also the statute of Shivaji that is placed inside me. Though, all the months in a year are suitable to visit me because of the cool weather all around the year. Still, if you want you can visit me in the months of August to November. The best thing about me is that I receive moderate rainfall, annually. The transportation facility to reach me is also good. You can simply take road, bus or air to visit me. If you are coming through air then I am 126 kilometers away from Pune. I always ensure that I entertain all my guests who come to see my beauty. So, plan your trip and get mesmerized by my beauty. One of the finest forts of Maratha empire which is well restored by the Maharashtra government, you should visit once before you die, the scenery is mesmerizing from the fort, please don’t go by ropeway otherwise you will miss the moment of your life. Trekking is for adults and kids, plz don’t smoke or drink before trek which will lead u to the respiratory problem and you will feel faint at some point, trekking is quite difficult as steps are quite big, so avoid the trek if u have a problem with your body. Carry your DSLR camera to capture the phenomenal moment. carry a water bottle and throw in the dustbin. Wear only flat shoes ( no sandals or slipper). You should Hire guide which will give u correct info about the fort. Price of guide Rs. 300-500 on the fort so bargain with them.